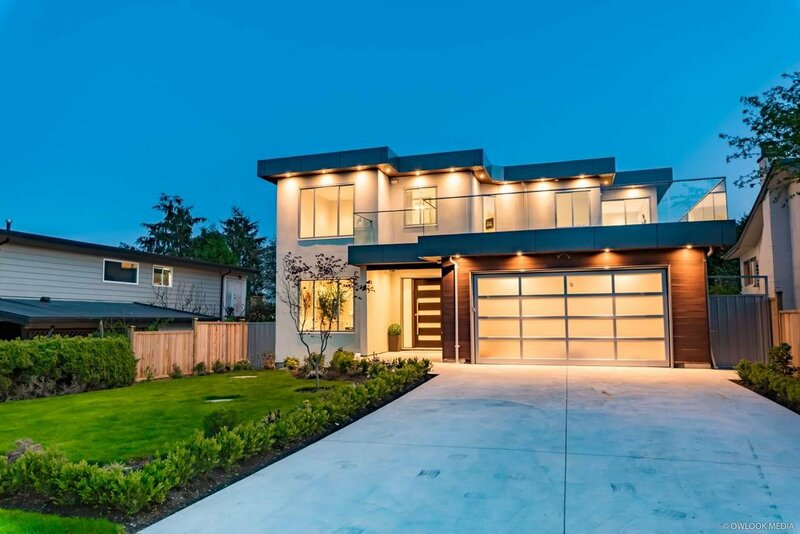 15880 Prospect Crescent, White Rock - 7 beds, 9 baths - For Sale | Robyn O’Brien Stroud - Hugh & McKinnon Realty Ltd. Opportunity is Knocking! Brand new 2019 Home - Living mortgage affordability. 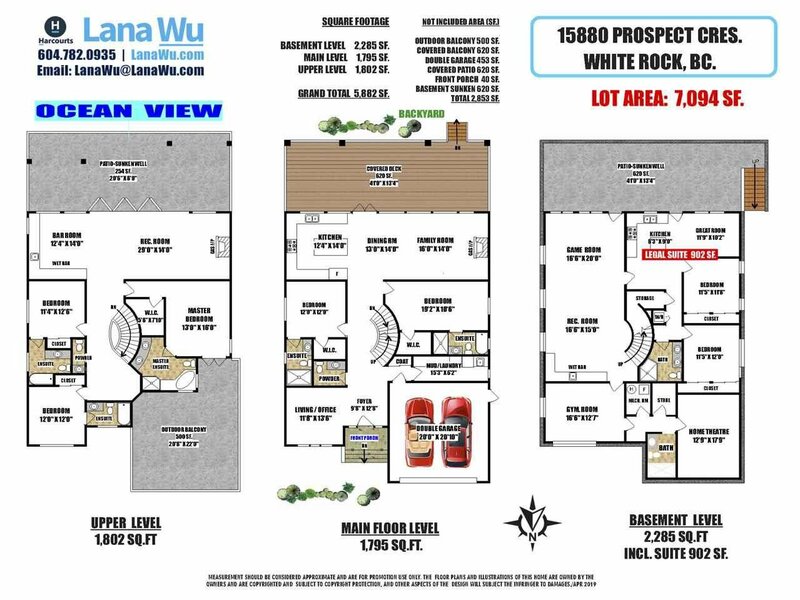 This special home has been carefully planed with efficient & flexible usage, potential for 2 families living+2 suites mortgage helper. Features incl. open concept 5882 SF modern style w/southern backyard, luxury finishings (hdwood flr, A/C, Security) 7 bdrm, 9 bathrm. Main: 2 bdrm-all w/ensuite, incl. living rm, dining, great rm & kitchen open to BBQ deck. Upper-partial mountain & Ocean Views: large covered deck, 3 bdrm-all w/ensuite, great rm& wet bar-rough in kitcn. Basement: Rec rm, Gym, media rm, wet bar-rough in kitch. & 2 bdrm suite rental with separate access. Walking distance to Peach Arch Elemt. & only 5 mins to Earl Marriott Schl.